The Galaxy S5 has been making the rounds since its global launch a week ago. It's already available at the major US carriers, and now it's trickling down to the smaller options out there. Today the device has come to MetroPCS, a prepaid service owned by T-Mobile, where it's available for $649 without an annual contract. The site shows the phone as currently available in-stores, but the online inventory should appear at some point. MetroPCS plans start at $40 a month for 500MB of 4G LTE data, with $50 bumping that up to 2.5GB. $60 provides unlimited. Phones will run on T-Mobile's network, so if coverage is good in your area, this is one of the more affordable ways, long-term, to own a Galaxy S5. Just know that you will have to be content with the black version. MetroPCS isn't offering up any other options. BELLEVUE, Wash. – April 18, 2014 – MetroPCS, a flagship brand operated by T-Mobile US (NYSE: “TMUS”), today announced the arrival of the Samsung Galaxy S® 5 at its retail stores across the nation and on MetroPCS.com. Now customers can have the latest Samsung Galaxy device with MetroPCS’ unlimited, no annual contract rate plans starting at $40 – further proof that MetroPCS continues to deliver one of the best wireless deals in town. “MetroPCS is on a fast-track to becoming America’s #1 prepaid brand because our customers get the best value in wireless plus the hottest devices, like the new Samsung Galaxy S 5 – without being locked into a long-term contract,” said Tom Keys, MetroPCS COO and executive vice president. 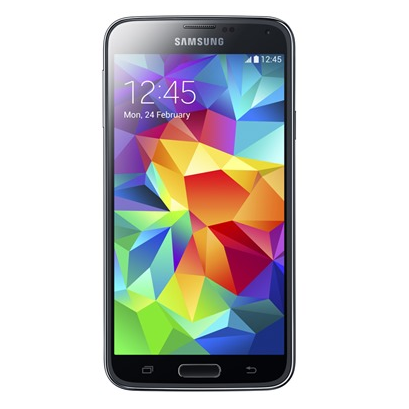 The Galaxy S 5 may be paired with any of MetroPCS’ affordable unlimited data, talk and text service plans starting at just “$40, period.” with taxes and regulatory fees included, and is available in black at MetroPCS retail stores for $649 plus tax. Additional Galaxy S 5 capabilities can be found athttp://www.metropcs.com/samsunggalaxys5. ┼This device, S Health, and related software is not intended for use in the diagnosis of disease or other conditions, or in the cure, mitigation, treatment or prevention of disease. *This device has been tested and received an IP (Ingress Protection) rating of IP67, which tests for dust intrusion and for water submersion up to 1 meter for up to 30 minutes.